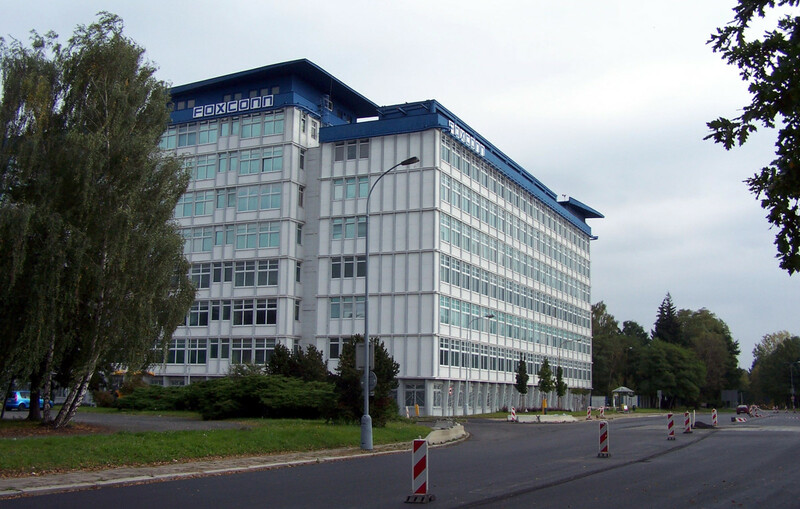 A Foxconn factory in the Czech Republic. 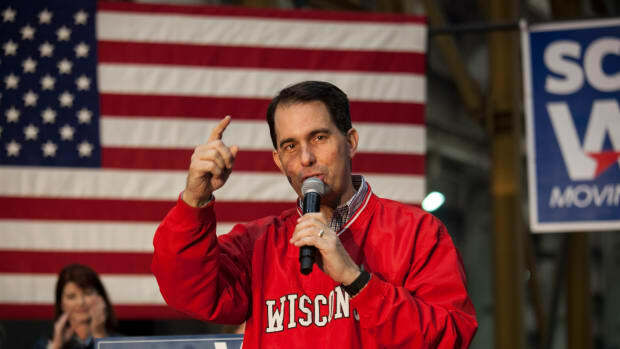 In September of 2017, at a ceremony held at the Gateway Technical College in Racine, Wisconsin, Governor Scott Walker (R) signed into law a bill rewarding Foxconn Technology Group a $3 billion package of economic incentives to locate a large new factory in Wisconsin. The factory, which Foxconn expects to invest $10 billion in, is expected to initially employ 3,000 workers and ultimately employ up to 13,000 workers. The Foxconn deal, which would be the largest incentive package ever granted to a foreign company (if the full package is delivered), has proved controversial in the state. 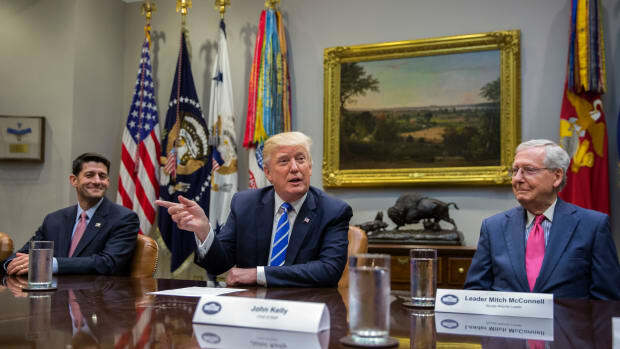 Walker, who first announced the deal alongside President Donald Trump at the White House in July of 2017 and was joined by the president at the factory&apos;s ground-breaking last month, has touted the deal as a huge economic win for a state hit hard by the decline of manufacturing in recent years. "This is about far into the future," Walker said at the ceremony. "This is about ensuring our children and our children&apos;s children will have generational opportunities. This is one of those things that&apos;s transformational." 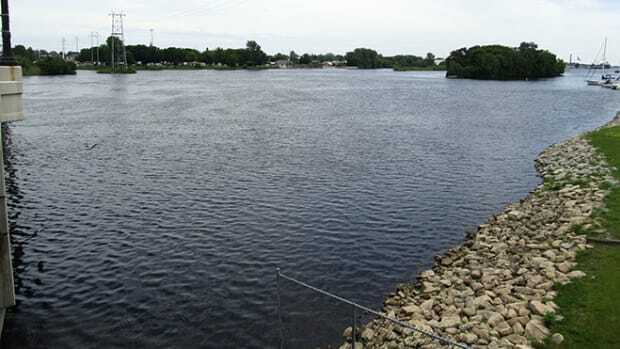 Democrats, who hope to use the deal against Walker in this year&apos;s gubernatorial election, have decried the deal&apos;s estimated $4 billion-plus price tag as well as provisions in the deal allowing Foxconn to build in waterways and wetlands, and to bypass traditional judicial processes around environmental issues connected to the plant. 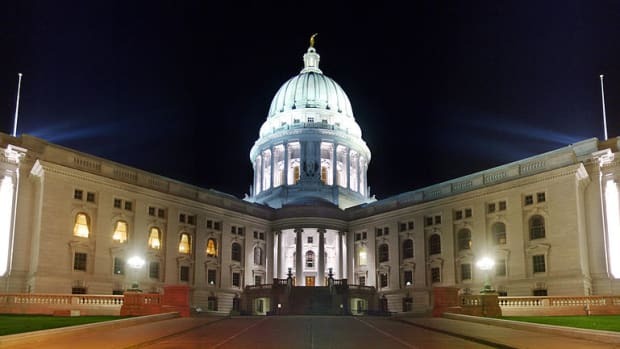 Democrats have also pointed to a report from the state&apos;s non-partisan budget office projecting it would take at least 25 years for the state to see a return on investment on the incentives. Sure, the Foxconn deal is a particularly large one, struck by a particularly controversial governor, but it&apos;s really not much of an outlier. Over the last five years, state and city governments in the United States have pledged approximately $9.3 billion in economic development incentives to technology companies alone, according to analysis produced by Good Jobs First, a non-profit that tracks such subsidies. 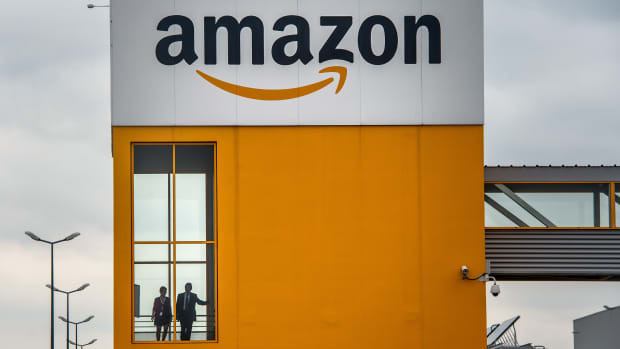 (That figure is likely to jump dramatically once Amazon makes a decision about the location of its second headquarters—several cities have offered the company enormous incentive packages.) Meanwhile, a 2012 analysis by the New York Times concluded that state, county, and city governments dole out over $80 billion each year to companies across different industries. Given the enormous sums of money involved in these incentive packages, it&apos;s striking how little faith economists have that these incentives actually work. In a comprehensive meta-review published in 2004 in Journal of the American Planning Association, researchers concluded that there&apos;s simply no "clear and undisputed evidence" that business incentives produce jobs and increase economic growth. The researchers went on to conclude that, instead, "there are very good reasons—theoretical, empirical, and practical—to believe that economic development incentives have little or no impact on firm location and investment decisions." [I]t is still more likely that states will significantly increase rather than decrease incentives. New states have entered more vigorously into the incentive competition. Incentives are still far too broadly provided to many firms that do not pay high wages, do not provide many jobs, and are unlikely to have research spinoffs. Too many incentives excessively sacrifice the long-term tax base of state and local economies. Too many incentives are refundable and without real budget limits. Bartik also notes that his data largely supports the existing consensus that, while incentives may affect location decisions, they are often too expensive and fail to produce the promised results. Two recent evaluations of state business incentive programs—both by Nathan Jensen, a professor at the University of Texas–Austin—cast further doubt on economic development incentives. In the first, Jensen compared firms that received incentives through Kansas&apos; Promoting Employment Across Kansas program through a control group of firms who received no such incentives. He found that the PEAK incentives had no effect on job creation, and that the incentives also had "little impact on the relocation or expansion decisions of firms." In the second analysis, in which Jensen evaluated the effects of economic development programs in Maryland and Virginia, he concluded that the programs "had essentially zero impact on job creation." So, given the lack of evidence on their efficacy, why are politicians like Scott Walker so keen to throw money at corporations? Another project of Jensen&apos;s offers a clue: In an Internet survey, Jensen (together with political scientist Edmund Malesky) found that voters, especially independents, were more likely to vote for an incumbent governor who had successfully attracted a large corporate investment to the state. 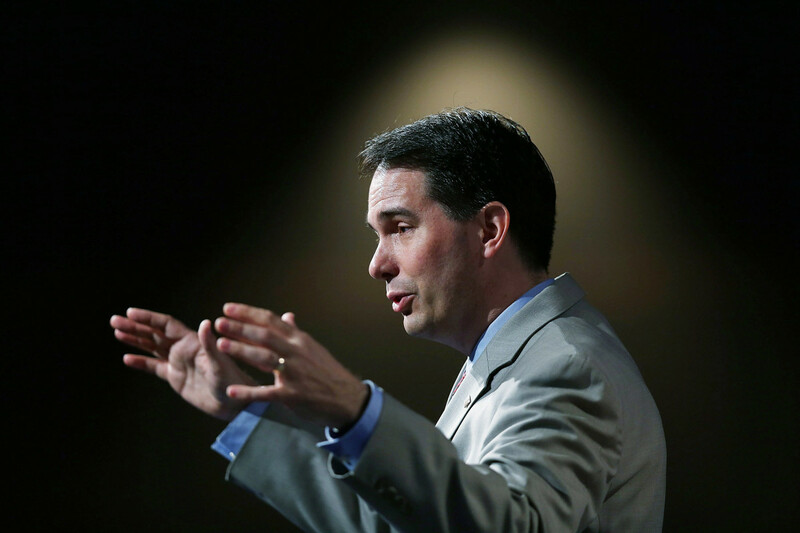 Governors that offered tax incentives for investment received an even bigger boost among independent voters. Economist Gary Hufbauer explains what Congress' proposed tax reform legislation would mean for American businesses.